KayKiSpeaks.com: Uh Oh! TMZ Retracts their Lies on Janet! This is quite hilarious to me. TMZ is one of a few sources most people trust as reliable. 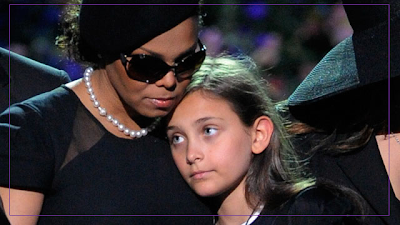 Last week, they posted that amid that Jackson family drama, that Janet Jackson laid hands on Michael's daughter Paris and called her the B word! Yes! This was reported. It didn't seem like something Janet would do, so I overlooked it. Apparently Janet's lawyers didn't. Today- TMZ posted a story very clearly retracting their initial story about Janet's behavior. The original story of Janet harming Paris could have very well damaged her image in some peoples' eyes.. obviously Janet nor her lawyers are feeling that. In TMZ's defense- it's not always easy to get the story from a truly reliable source. Im sure they thought it was the truth. It is often a guessing game when getting information from "sources", and even TMZ can get the wrong information. Big ups to them for clearing it up. She deserved to have her tail whooped if she didnt! I knew this wasn't true when I read it.